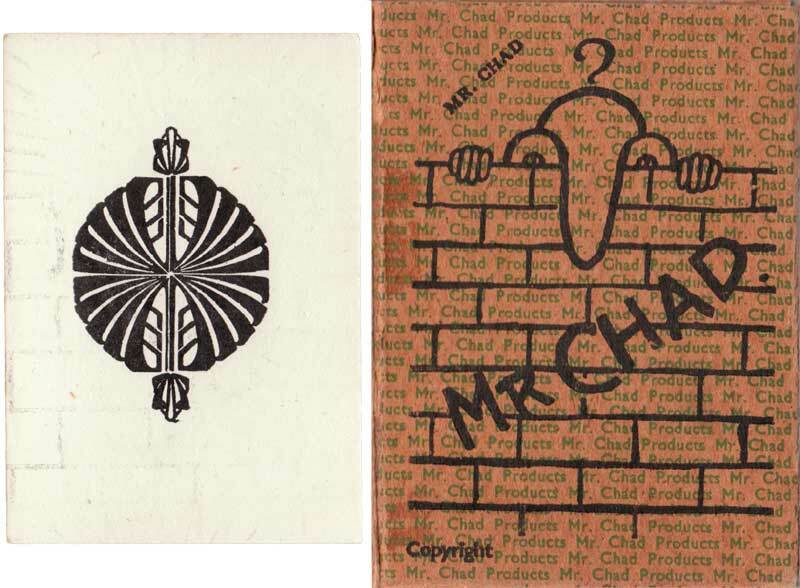 Above: ‘Mr Chad’ card game, anonymous, 1940s. Images courtesy Rex Pitts. Rex comments: "I can remember seeing Mr Chad slogans chalked on walls when I was a kid. It continued after the war was over as the shortages went on for a good while afterwards." 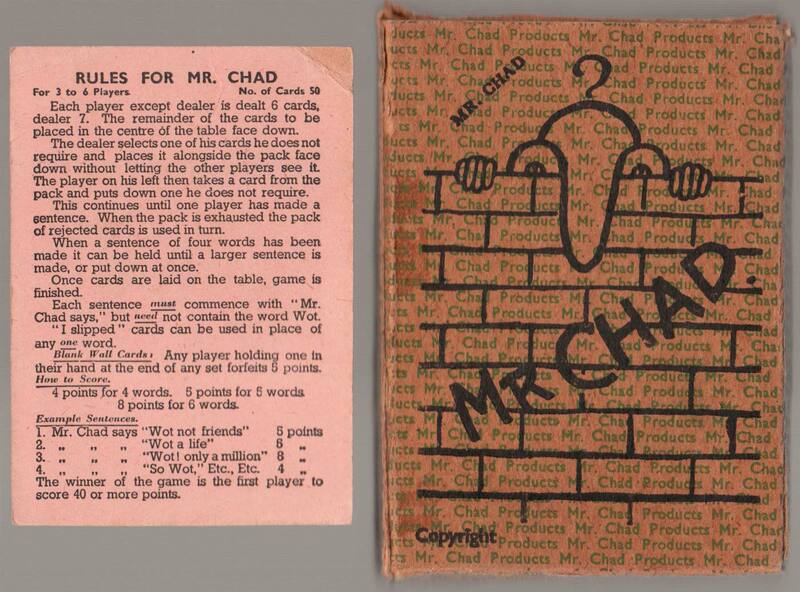 ‘Mr Chad’ was used in a humourous way to draw attention to the shortages after WW2. During this period of austerity things we take for granted were unobtainable. ‘Mr Chad’ would make us smile with such captions as "WOT! No Oranges? ", "WOT! No Petrol? ", or for the ladies, "WOT! No Stockings? ".